A tooth is made up of two parts, the crown and the root. The crown is every part of the tooth visible above the gum line. The root, or roots if consisting of more than one, is the support for the tooth that resides beneath the gums. In some instances, it may be necessary to increase the length of the crown by removing some of the supporting gum and bone. It does sound counter intuitive; however, we will discuss certain instances that may necessitate this crown lengthening procedure. Dental Problems and Situations that lead up to Crown Lengthening. There are a few issues that might require crown lengthening. A very common situation would be a broken tooth as the result of an accident or trauma. If the tooth is broken right above the gum line, there may not be enough of the tooth remaining for the Dr. Schrader at West Mobile Dental Care to predictably restore with a full coverage crown. By performing crown lengthening, we are able to provide more solid tooth structure above the gum and bone to serve as a foundation for the new crown. Another dental issue that may arise is a significant cavity that extends below the gum line. Cavities don’t always occur on the chewing surface of the tooth. If plaque builds up on the side tooth under the gum, it can penetrate the enamel and cause tooth decay. 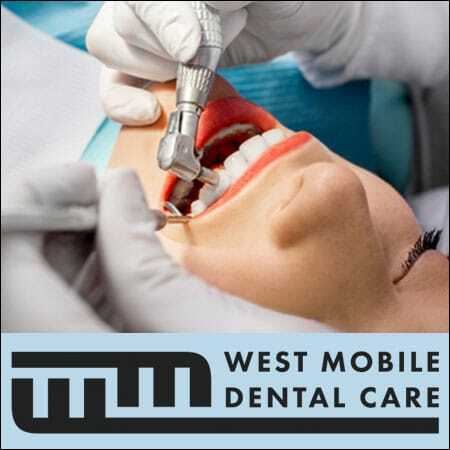 By performing a crown lengthening procedure, the staff at West Mobile Dental Care can better access and remove the decay. With more tooth structure above the gum and bone, Dr. Schrader is able to create a well-sealed composite filling or crown. If you smile and show an excess amount of gums it might be advantageous to have a crown lengthening procedure. Cosmetic in nature, the crown lengthening will eliminate some of the excess gum tissue and reveal more of the underlying tooth structure. It may also be a good move from your overall oral health as well. People with excess gum display in their smile may have a higher incident of contacting gingivitis or gum infections. The excess tissue sometimes can create gum pockets that are difficult to manage and if not addressed within a reasonable amount of time can be damaging to the supporting structures of the tooth. After an x-ray has revealed that crown lengthening is necessary to predictably restore a broken or decayed tooth, then you will be appointed for the procedure. A local anesthetic will be administered to numb the gums and bone around the compromised tooth. Dr. Schrader will remove the excess gum tissue. In some cases, this alone may be enough to expose more of the tooth. On other occasions some of the surrounding bone may need to be removed to make the extended crown look better or to make available more solid tooth structure for a crown. Following the procedure a few sutures may be placed to keep the gum tissue in its new position. Dr. Schrader will likely ask that you return in 1-2 weeks for a post-operative reevaluation. Initially you will need to ice for a few hours to reduce the swelling. You’ll be asked to follow a soft diet and to avoid brushing near the sutured gums. In seven to ten days the stitches will be removed and in about four to six weeks you will have another follow up visit. You may experience some sensitivity to hot and cold, but this will pass, as it is possible some previously exposed root structure is now visible. You’ll want to keep an eye on the gums to watch for any possible infection or late swelling. Once the gums have healed you will proceed with the crown to restore the broken tooth. In some instances, a temporary crown can be placed during the healing phase in order to contour the gum tissue or provide better esthetics for the broken tooth. 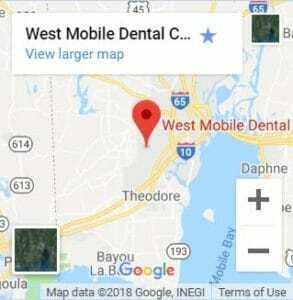 One of the primary goals of the staff at West Mobile Dental Care is to not only take care of your teeth but to predictable restore them in the event of large cavity or trauma. If predictable to do so, we would always want to keep your natural tooth as opposed to its removal and replacement with a dental implant or dental bridge. With good at home oral hygiene and regular dental visits that produce x-rays, dental exam and a consistent professional cleaning all decisions about potential dental procedures can be planned and some potentially avoided. You can be proactive versus reactive. Whether it is crown lengthening to improve an excessive gummy smile or to crown a broken tooth, consult with the staff at West Mobile Dental Care about your smile.